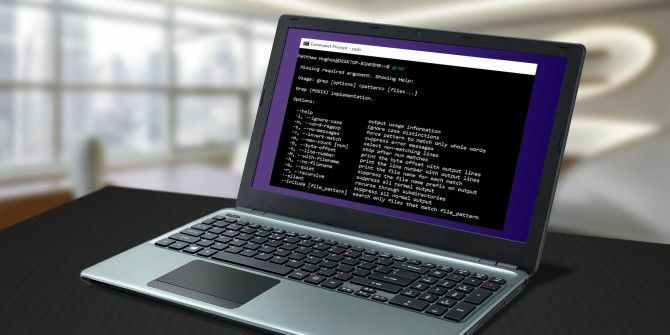 Linux and Windows are two starkly different operating systems, and nowhere is that more apparent than with the command line. Windows’s command prompt is a clunky mess that feels more like an afterthought, than an integral part of the OS. Linux’s is elegant and well-designed, and makes it easy for users to be productive. It should come as no surprise that there are various tools tools designed to make Windows feel a bit more Linux-like in this regard. One of the most promising is Cash (a recursive acronym for “The Cash Shell”). The overarching philosophy of the project is that you should be able to run “ls -l”, or use Grep to search for something, and it should work on Windows as it would on Linux. Although it’s only early days, it already contains a number of core Linux utilities, including cat, clear, echo, export, false, grep, less, mkdir, and more. Although it’s nowhere near comprehensive, it has enough to allow you to be productive. Cash is a newcomer in a field that’s increasingly crowded. From the get-go, it’s competing against the likes of Cygwin, Shell.js, and Cooperative Linux. But Cash has a card up its sleeve, that gives it a distinct advantage over the competition. Take Cygwin and Cooperative Linux, for example. To install Cygwin, you must also install a number of bulky DLLs. Cooperative Linux is worse, as you’re literally running a pared-down version of Linux simultaneously. But CASH is lightweight. It measures in mere megabytes, and has only one dependency, which is node.js. It’s simply a faster, more streamlined product. So, if you’re convinced, here’s how you can install Cash. It’s easier than you might think. First, you have to go to the Node.JS website, and install the latest version for Windows. It’s worth pointing out that the Cash developers have plans to release it as an easy-to-install MSI file. By the time you read this article, that might have already happened. To find out, check the official Github page. If Cash installs without any error messages, it’s ready to be used. Type cash to switch into the Cash shell, and read on for a taste of what it can do. One of the most amazing things Cash can do is natively mix Linux and Windows commands. Let’s imagine you want to list all the USB drivers installed on your machine. You could be forgiven for thinking that many of the commands in Cash are actually Windows commands that are masquerading as Linux commands. That if you dig a little bit deeper, perhaps throw in a few obscure arguments, things would begin to unravel. But that’s not the case. Just check out the help page for ls. It’s exactly as you should expect. Another cool thing I like about Cash: It brings UNIX style permissions to Windows. Just run ls -l, and you’ll see each file listed with its permissions written in traditional UNIX symbolic notation. Sadly, the chown command hasn’t been ported yet, so you can’t change file and folder permissions as you would in Linux. This will arrive in a future version of Cash. Just adjust the above command for the utility you’re trying to install. If you have to deal with large text files, such as the ones produced as log files by utilities like Logcat How to Get a Logcat for Reporting Bugs on Android How to Get a Logcat for Reporting Bugs on Android If you've ever been asked for a logcat, this is how to do it! Read More , you’re probably best off using Linux. It’s just a fact. 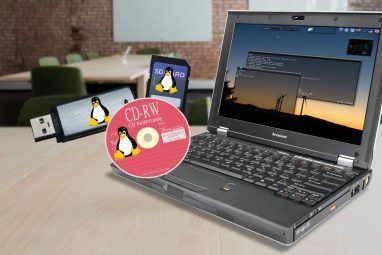 Linux has a veritable smorgasbord of text-wrangling tools, many of which have found their way to Windows, thanks to Cash. We’ve already talked about Grep and Sort. Cash also has Tail, Head, Less and Cat. Of course, there are a few other additions which would be nice to have. Right now, if you want to use the Vim text editor The Top 7 Reasons To Give The Vim Text Editor A Chance The Top 7 Reasons To Give The Vim Text Editor A Chance For years, I've tried one text editor after another. You name it, I tried it. I used each and every one of these editors for over two months as my primary day-to-day editor. Somehow, I... Read More from within a terminal on Windows, you have to use Cygwin. Likewise, there’s no Sed or Awk Every Linux Geek Needs To Know Sed and Awk. Here's Why... Every Linux Geek Needs To Know Sed and Awk. Here's Why... Two of the most criminally under-appreciated Linux utilities are the admittedly arcane Sed and Awk. But what are they? How are they used? And how do they make it easier to process text? Read More . Fortunately, these are all pretty high up on the CASH roadmap. They’ll show up eventually. Perhaps my favorite thing about Cash is that it just lets you deal with stuff like you would on Linux. Directories work like they do on Linux. You can move from folders like you can on Linux. You can “touch” files into existence, before swiftly removing them with an “rm”. You can also create and remove aliases, and copy and move files and folders as you would on Linux. It’s actually pretty amazing to see. So, here’s the million dollar question: will you install Cash? Are you tempted by it, or are you going to stick with your Linux virtual machine, or Cygwin? Whatever you decide. Let me know in the comments below. Explore more about: Command Prompt, Terminal. Honestly I'm glad articles like this miss the mark on what Cygwin really is and what it's actually capable of. I perform feats of pure on-the-job magic with Cygwin, so yeah, keep on keeping my secret weapon a secret. Is the headline clickbait or just uninformed? virtualbox running centos7 ftw (your choice on xterm, I use cygwin). Very consistent environment for dev/test/production/docker/whatever. There are ALWAYS gotchas and rabbit holes when you introduce variables like one-off linux-like systems. Just use linux and keep your hair, and productivity. Cmder and babun are the best I've ever used and are the most comprehensive. Cmder can run babun, zsh, git, and probably cash under the hood and you just have one terminal with all the bells and whistles to work from. Since the dawn of Windows, I've been using programs to be able to use real commands (i.e. unix ones), not just DIR! I've used the mks toolset for a long time. It contains a lot of the Unix/Linux commands and runs directly on Win (no VM or so). I'm starting to use "GitHub for Windows Shell" which is PoshGit, a Windows Power Shell environment for Git. I'm not affiliated with MobaXterm. Just a happy user. Not sure why you didn't publish my comment. The very same Linux tools can be easily ported to Windows given their source is available. 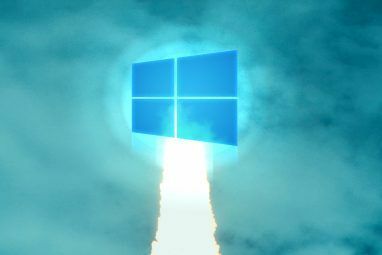 The native Windows applications / tools make them more productive. Also, if at some point the standard will be extended and all POSIX tools will be updated (quickly), the extra-effort will be necessary to port them to Node.js. Many Linux features that are native in Linux environment (e.g. POSIX permissions) are just out-of-place in Windows. You better can use newer GNU tools like MSYS2 which has Arch Linux' package manager Pacman, so you can easily install whatever you want. OK, I installed it - but I know nothing about Linux - so is there a help file and/or how to I access it? Is there an icon (very new newbie here). tail -f results in "invalid option"
I dont have Windows, but i dont see installing and especially executing the overhead of Node on each command that would run perfectly fine if compiled natively. IMHO this whole idea sounds like a fun hobby project but nothing that should be hyped in anyway. There is Gow for example that is not trying to reimplement the wheel and really comes with full performance. Also why is it done from scratch? Most of these tools compile perfectly fine to JS. This is cool, but still misses few Linux commands. My personal favourite is GetGnuWin32 (http://getgnuwin32.sourceforge.net/). Sounds like something worth exploring once more of the standard tools are available. Awk & sed are ones that I use quite often in my shell scripts. I just tried this on my Windows 10 desktop. It very much reminds me of the systems I used when I was working in the telecommunication industry,. They were unix based. NEAT !